By selling an article for Rs. 810, a man loses 10%. At what price should he sell it to gain 5%? Ravi buys some goods for Rs. 300. If the overhead expenses are 12% of the cost price, at what price should it be sold to earn 10%? Gopi purchases two fans each at Rs. 2400. She sold one fan at the loss of 5% and other at the gain of 10%. 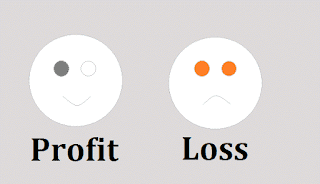 Find total gain or loss per cent. Praveen purchased an item for Rs. 3000 and sold it at the gain of 35%. From that amount, he purchased another item and sold it at his loss of 20%. What is his overall gain/loss? Vani sold an item for Rs. 3192 and incurred a loss of 30%. At what price should he have sold the item to have gained a profit of 30%. Some Apples bought at 5 for Rs. 10 and sold at 6 for Rs. 15. What is the gain per cent? A shopkeeper purchased some books from a publication worth Rs.1500. Because of some reasons, he had to sell two-fifth part of the book at a loss of 15%. On which gain he should sell his rest of the books so that he gets neither gain nor loss? Siva sold a watch at a profit of 10%. If he had sold it for Rs. 200 more, he would have gained 20%. Find the CP of the watch.